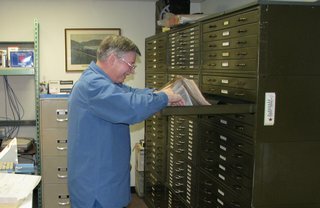 Donations play an important role in helping the NWHS fulfill its vision of establishing and maintaining the Society and its Archives as the recognized, authoritative sources for information about the history and operations of the N&W and VGN railways and their respective places in the development of the Central Appalachian region and in the development of rail transport in general. We use our resources, including donations, to put in place up-to-date, proven research technologies that make our collections available to the wider history and research communities. 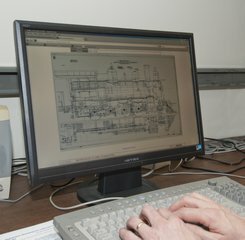 To date donations have allowed us to purchase our own building, equip it with computerized research stations, printers and scanners, and to maintain our facilities. As of December 2018, we have over 160,000 N&W/VGN data items cataloged into our on-line data base. NWHS is a 501(c)3 charitable organization, and all donations are tax deductible (please check with your accountant or tax preparer for current information. To donate to the Norfolk & Western Historical Society online, enter your donation dollar amount below and then click "Add to Cart" Button. Your order will be processed via our online shopping site. We accept VISA or Mastercard.